Oh dear. 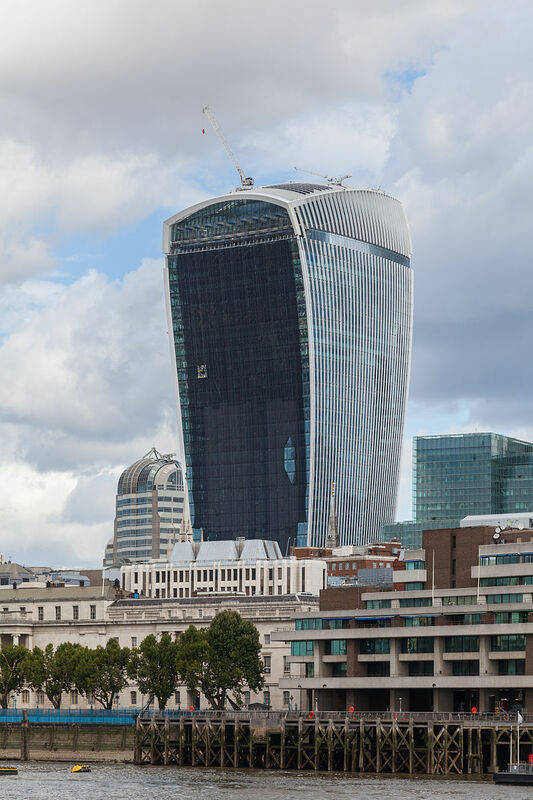 News that 20 Fenchurch Street, or the ‘Walkie Talkie’ as it is not so affectionately known, has been branded ‘the worst building in Britain’ by the judges of the Carbuncle Cup will come as little surprise to the thousands of Londoners who pass by it every day. The tower gets its name from its tapering shape – though Rakewell is more inclined to agree with the Guardian’s Oliver Wainwright, who likened it to a ‘sanitary towel’. To cap its woes, the promised public space offered by the Walkie Talkie’s ‘Sky Garden’ – apparently a crucial factor for the building being granted planning permission – was condemned for not being a ‘proper public space‘ at all. To be fair, Uruguayan architect Rafael Viñoly, the man behind the 500ft disaster, has admitted that he ‘made a lot of mistakes’ on it. The Rake isn’t one to kick a man when he’s down, but given that Viñoly has been associated with similarly botched jobs in New York (falling debris) and Las Vegas (melted drinks glasses this time), he feels that the kicking is richly deserved.